Toyota Rental Cars: Let’s Go! Once you drive a Toyota rental car, you’ll never want to rent from anyone else. 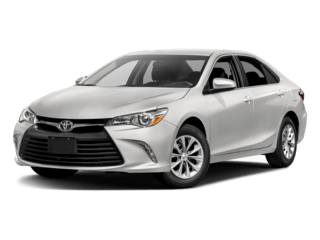 Whether you’re headed out of town for Eugene, taking an extended vacation, or just need something to take you around Roseburg, Oregon while your car is in the shop, Toyota rental cars will get you there in style. Our vehicles have all the power, sleek curves, and comfort you’ve come to expect from our brand, not to mention the latest and greatest technology to make the drive that much more pleasant and convenient. 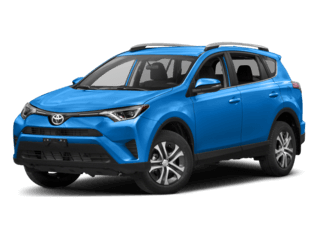 It doesn’t matter if you want to rent a Toyota car, a spacious SUV, a rugged truck, or a gas-saving hybrid – Clint Newell Toyota offers all that and more. And if you’re looking for a new car to purchase and not completely sure what kind? At our dealership, you can experience the luxury of your Toyota car rental without any of the risks, so you can be sure you select the vehicles that are best for you. So come on out to Clint Newell Toyota, where our friendly staff is on hand to assist you with all of your Toyota rental car needs in Roseburg, Oregon. 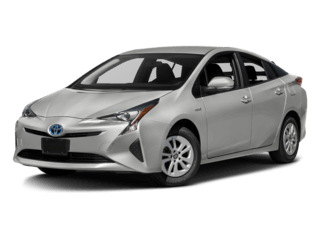 What are the Toyota Rent a Car rates? 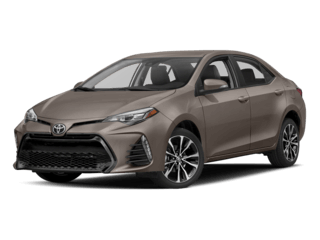 The Toyota Rent a Car rates are competitive with those of other manufacturers, and here at Clint Newell Toyota, we’ll always endeavor to get you the best price. Generally, our rates run between $40 and $70 per day, depending on the model you choose. Monthly and weekly rates may vary, so contact us for more exact information. Which Toyota vehicles are available to rent? You can rent a variety of popular Toyota vehicles at Clint Newell Toyota. Our current lineup includes rental Camry models, rental RAV4 models, and that’s not all. To learn more about these models, or to explore models which are currently available to rent, simply reach out to our team. Where can I return my Toyota rental? At the current time, all Toyota rental vehicles acquired here must be returned to the dealership where they were rented. However, in some cases, we may be able to offer offsite pickup services for your convenience. Contact us to find out if you can benefit. Can I purchase my rental Toyota? In most cases, the answer is yes! Although you should always ask if the vehicle is available for purchase, most models can be driven home Eugene or Sutherlin if you decide to buy. What are the benefits of renting a car? Finding a car rental service in Roseburg can save you tons of time. Many drivers choose to rent a Toyota while their main car is receiving regular maintenance or major repairs, but you can also rent a vehicle for your next vacation or business trip. In some cases, it may even be possible to rent a vehicle and drive it for a few days before you decide to buy! If you lease a vehicle, and you’re at risk of going over your mileage limit, renting a car for a few days can help you stay under contract and avoid fees. Why choose a Toyota dealership car rental service? 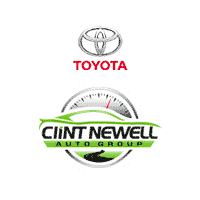 When you choose to rent a Toyota from Clint Newell Toyota, you’ll enjoy the same great service that all Toyota dealers are dedicated to providing. We’ll eagerly answer your questions and make sure you have a great experience with your rental. Unlike other brands, Toyota covers all of its rental vehicles with 24-hour roadside assistance. No matter where your adventures take you, you can count on support from the experts. Customers must provide a current, valid U.S. driver’s license, proof of full coverage insurance, and be at least 21 years of age to drive a rental car. Rental vehicles being paid for by Toyota Warranty, Service Department, Sales Department or another entity DOES NOT INCLUDE FUEL used by the customer. Customers must return the vehicle with a FULL FUEL tank. A charge of $6.00 per gallon will be assessed to customers returning vehicles less than full of fuel. SMOKING in rental vehicles is PROHIBITED, and a $100.00 cleaning fee will be charged if necessary. Transporting animals in rental vehicles is prohibited, and a $100.00 cleaning fee will be charged if necessary. In Oregon our fuel charge is $6.00/gallon $100.00 cleaning charge for pets.